MIE Resources provides expertise in key areas of health care innovation, applying epidemiology, data skills and experience, consulting services that improve health care for all. What is the evidence supporting efficacy and effectiveness in clinical trials and observational studies, and what are the outcomes? What additional studies can be conducted to develop further evidence about efficacy and effectiveness? What kind of patient reported outcomes have been assessed for the medication, what needs to be done? How does one treatment compare to others? Are there opportunities to carry out comparative effectiveness studies? Is the medication or treatment safe? What safety issues were identified pre-approval, how does one identify and quantify adverse events occurring post-marketing? What factors increase the risk of adverse events? How can these factors be measured? How many people have the condition or indication treated by the medication? Which physicians prescribe which medications to whom? How well do patients use a medication? Dr. Lasky is a long standing member of the International Society for Pharmacoepidemiology, and was founding Co-Chair of its Pediatric Special Interest Group. Specialized expertise to address pediatric pharmacoepidemiology questions. Studying medication use in children requires top level pharmacoepidemiology skills, and then some. 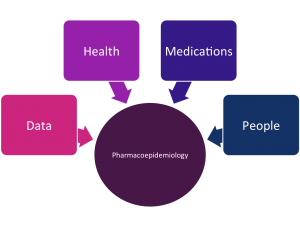 Identifying databases with adequate pediatric sample sizes, understanding variation across the ages from birth to 18 are two issues unique to pediatric pharmacoepidemiology. Other issues include the need to understand effects on growth and development, and a thorough understanding of pediatric outcomes. Expertise to address the challenge of helping patients use medications properly. In an arena that is growing rapidly, we help clients identify the best examples of patient medication information, research findings on communicating medication information to patients, and scope out strategies to communicate complex information to patients. Questions range from how well do patients understand information about medication that they receive to what media do patients prefer when receiving medication information? Expertise in distilling the science of racial and ethnic health disparities, and tailoring it to a specific health care audience in workshops and instructional materials. 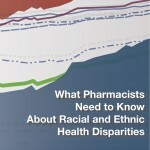 The text “What Pharmacists Need to Know About Racial and Ethnic Health Disparities”, companion slides, and infographics are used to introduce students and staff to the scientific basis for our national goals of eliminating racial and ethnic health disparities. 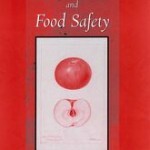 Dr. Lasky wrote the leading text, “Epidemiologic Principles and Food Safety”, and provides expertise in surveillance for food borne illness and data development for food safety risk assessment.